Two-Factor ANOVA. What Do We Mean By Two Factor? This is when we are studying the effect of more than one factor (variable) simultaneously. This is when. 2 What Do We Mean By Two Factor? This is when we are studying the effect of more than one factor (variable) simultaneously. This is when we are studying the effect of more than one factor (variable) simultaneously. Each factor has a number of levels. Lets say factor A has two levels and factor B has three levels, we would call this a 2x3 ANOVA. Each factor has a number of levels. 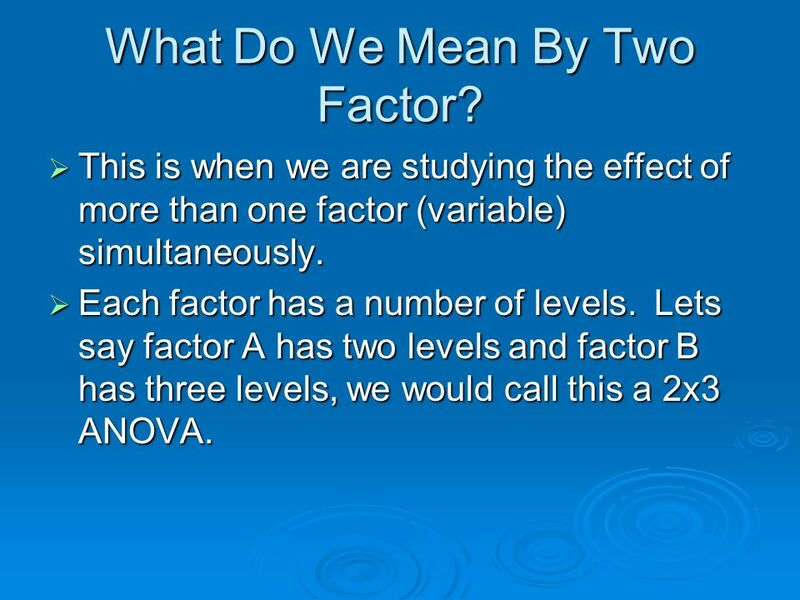 Lets say factor A has two levels and factor B has three levels, we would call this a 2x3 ANOVA. 3 Main Effects and Interactions The mean difference among the levels of one factor are referred to as the main effect of that factor. The mean difference among the levels of one factor are referred to as the main effect of that factor. An interaction between two factors occurs whenever the mean differences between individual treatment conditions, or cells, are different from what would be predicted from the overall main effects of the factors. An interaction between two factors occurs whenever the mean differences between individual treatment conditions, or cells, are different from what would be predicted from the overall main effects of the factors. 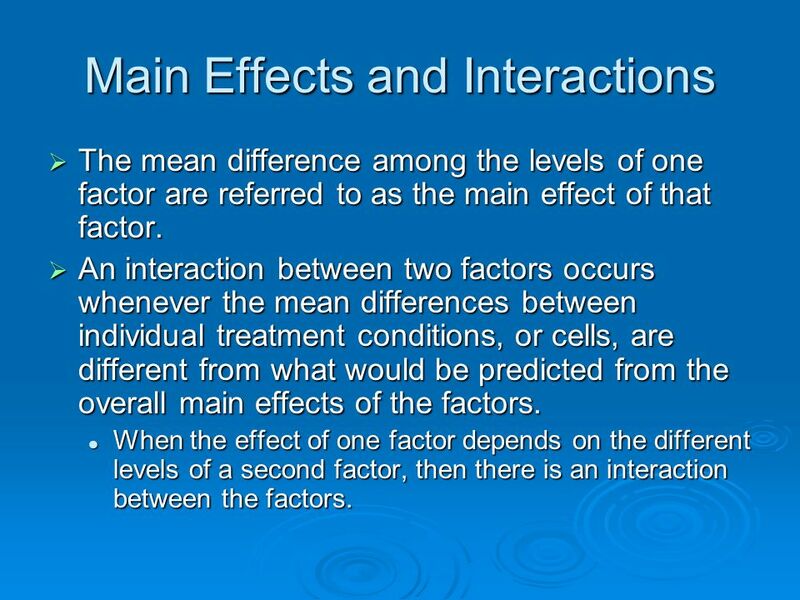 When the effect of one factor depends on the different levels of a second factor, then there is an interaction between the factors. When the effect of one factor depends on the different levels of a second factor, then there is an interaction between the factors. Download ppt "Two-Factor ANOVA. What Do We Mean By Two Factor? This is when we are studying the effect of more than one factor (variable) simultaneously. This is when." Siti Nor Jannah bt Ahmad Siti Shahida bt Kamel Zamriyah bt Abu Samah. Anthony Greene1 Advanced ANOVA 2-Way ANOVA Complex Factorial Designs I.The Factorial Design II.Partitioning The Variance For Multiple Effects III.Independent. Combined Analysis of Experiments Basic Research –Researcher makes hypothesis and conducts a single experiment to test it –The hypothesis is modified and. 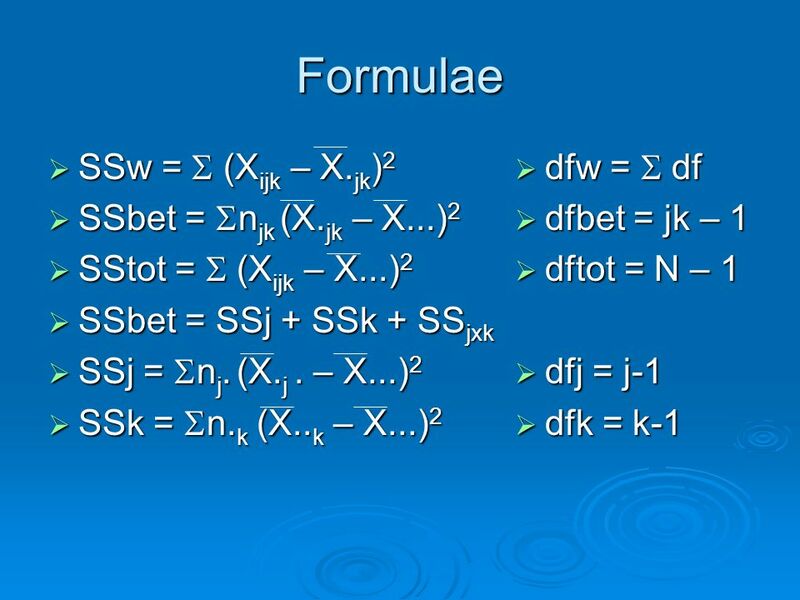 FACTORIAL ANOVA Overview of Factorial ANOVA Factorial Designs Types of Effects Assumptions Analyzing the Variance Regression Equation Fixed and Random. Chapter Fourteen The Two-Way Analysis of Variance. STAT 2120 Tim Keaton. ANalysis Of VAriance (ANOVA) ANOVA is a generalization of the comparison of two population means In ANOVA, we compare k population. 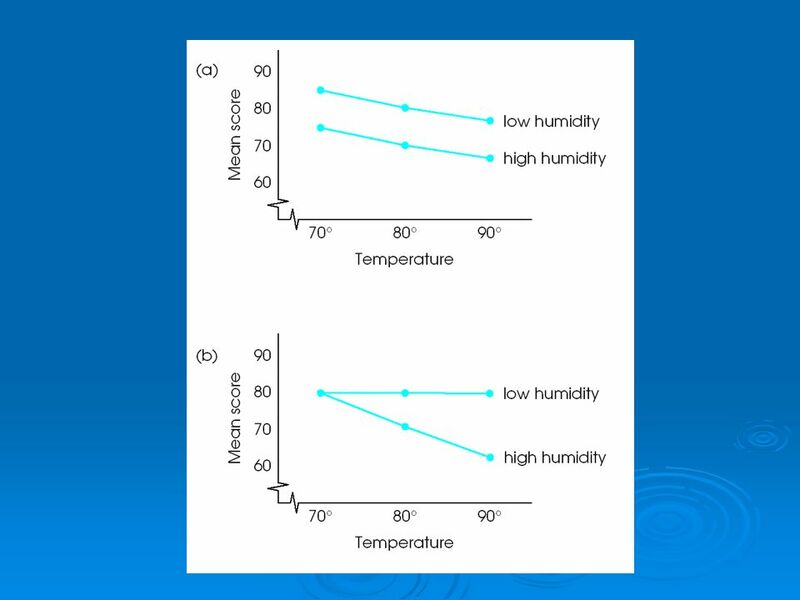 Nonparametric tests and ANOVAs: What you need to know. The Two Factor ANOVA © 2010 Pearson Prentice Hall. All rights reserved. Type I and Type III Sums of Squares. Confounding in Unbalanced Designs When designs are “unbalanced”, typically with missing values, our estimates of.